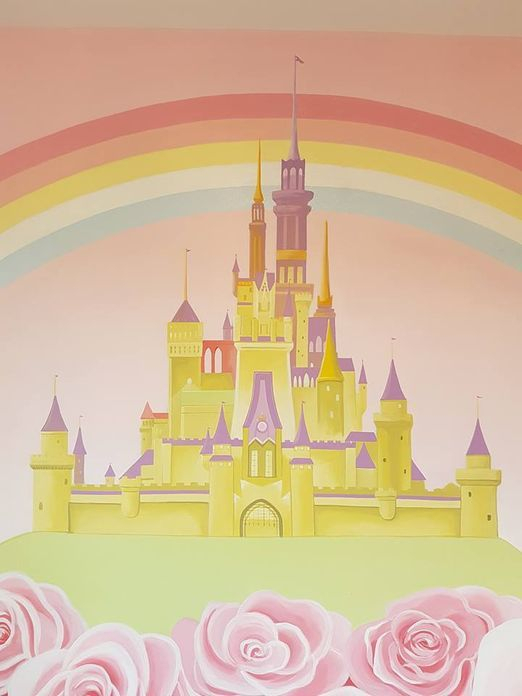 This pretty mural was painted in a little girls nursery. 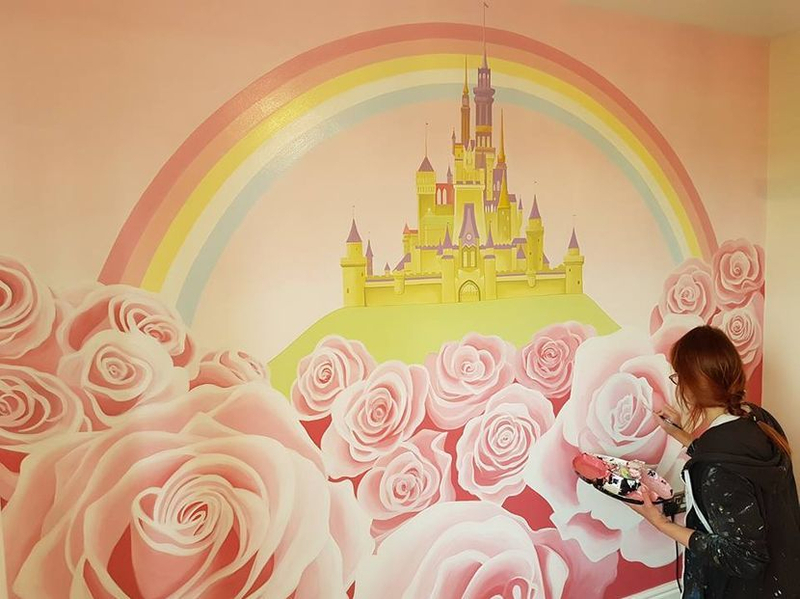 The large roses and Disney castle give it a romantic feel, with lots of soft colour to compliment the other accessories in the room. We added a touch of glitter paint to go with the Disney princess theme and to make it extra special. This mural was completed in three days.